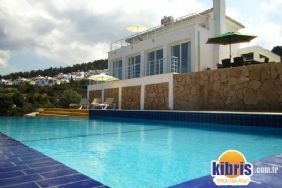 This is a new villa and is already known for its elegant modern design. Overlooking the Mediterranean Sea, it is the perfect setting for either intimate gatherings with family and friends. 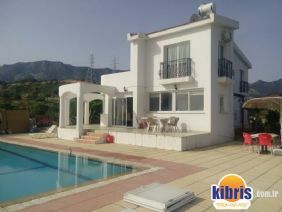 This newly completed, fully air-conditioned villa sits only a few hundred metres above the stunning coastline North Cyprus coastline and at the base of truly wonderful Kyrenia mountain range which provides cooling forests and crusader castles. 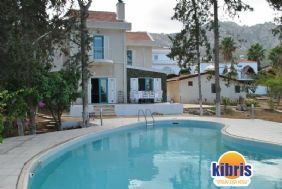 This very well appointed villa would suit both families and executives who are seeking luxury. Ideally situated for relaxing, touring, shopping, swimming or golf. 20 minute drive to Kyrenia, steeped in history, you can eat and drink in it's famous harbour next to the Ottoman castle, worth a visit, both by day and by night. 10 minutes away, on Turtle Beach, for those who visit in July and August, visit the world famous, protected, hatching of both Loggerhead & Greenback turtles, watching them at night making their way down to the sea, shortly after hatching. 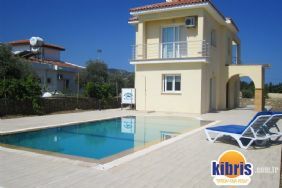 The villa is only 70 minutes drive to / from Larnaca, or 30 minutes from Ercan, we can advise on both car hire (essential for North Cyprus ) and transfers to and from your chosen airport.